Caesar (Camion Equipe dún Syste’me dÁrtillerie) gun uses the Giat 155mm/52Cal. 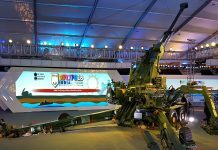 gun mounted on a 6×6 all terrain a vehicle, equipped with integral navigation, fire control and gun laying systems and networked over tactical information systems to facilitate accurate and timely engagement of time critical targets. Five pre-production models were already produced and used for evaluations by the French Army, mounted on Mercedes-Benz Unimog chassis. 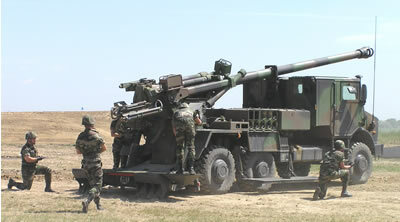 The French Army plans to procure 72 Caesar guns, utilizing 6×6 Renault Trucks Defense chassis. The Thai Army also ordered six Caesar vehicles in May 2006. An order of 76 units was reported on July 2006, presumably destined for Saudi-Arabia. The vehicle with its integral gun weighs 18 tons and is designed for air transportation as a single load in a C-130 aircraft. 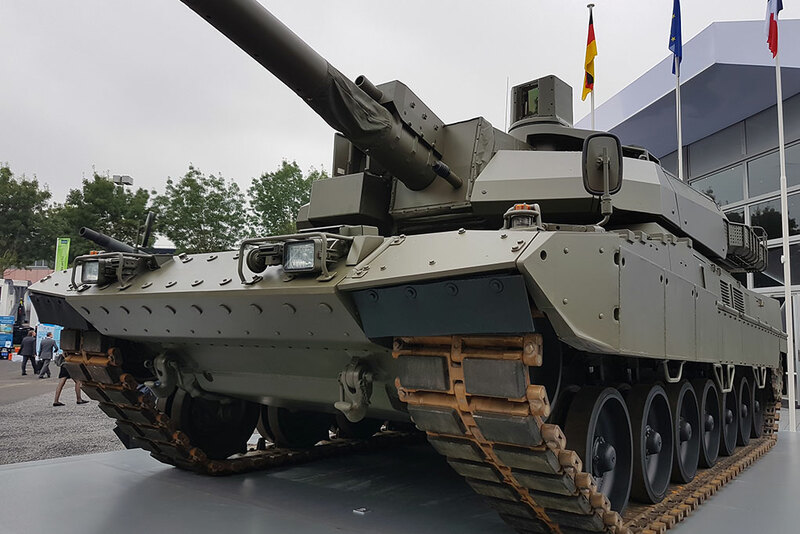 Caesar is capable of rapid mobility – up to 100 km/h on road, at ranges up to 600km, twice as fast as tracked SP artillery. 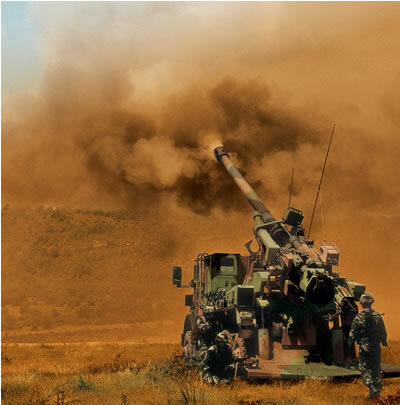 The gun is qualified to fire modular charges (zones 1 to 6 MTLS) enabling maximum firing ranges of up to 41km. The vehicle is equipped with an integral fire control computer, navigation and positioning and gun laying system enabling independent employment and automatic aiming possible. A protected compartment accommodates the six men crew and the fire control computer. An additional data display console is located at the rear of the gun. Ammunition stowage is also located on the truck, ready for firing. The gun can be deployed in position and fire six rounds in two minutes, and escape to another position evading counterfire. 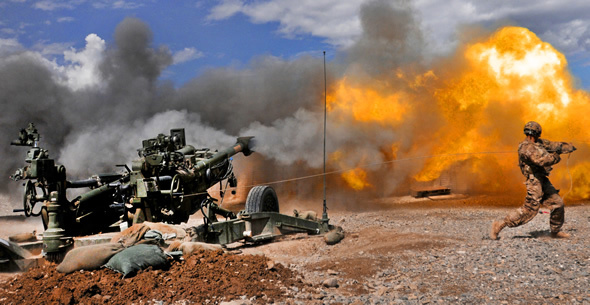 Caesar is currently in evaluation for British Army Lightweight Mobile Artillery Weapon System (LIMAWS) program calling for an air transportable artillery. It is also offered to potential clients in Australia, the Middle East and Malaysia. 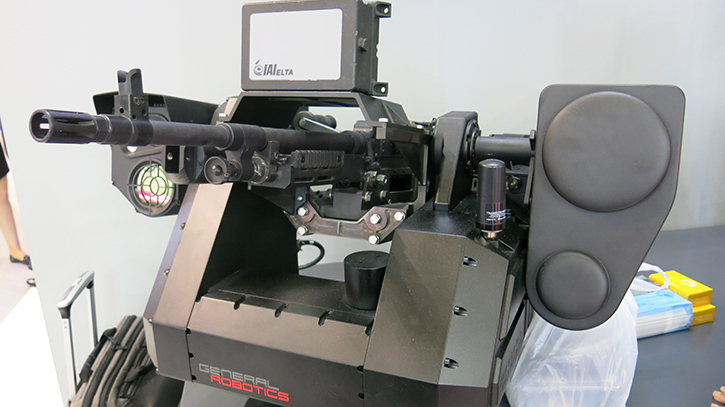 In the US, Caesar is promoted by United Defense which also works on the US Army Non Line of Sight Cannon (NLOS-C) element of the Future Combat Systems. 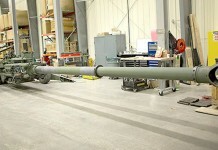 As part of the advanced CAESAR system, GIAT also demonstrated the TOP – (acronym for Gun Operational Terminal), an interface linking a modern artillery tube to the artillery C3 system. TOP consists of a computer system, providing ballistic computation, handling of all navigation and positioning functions, handling of advanced trajectory correction fuses such as the SPADICO, muzzle velocity computation (based on muzzle velocity radar data) call for fire management and management of firing sequences and ammunition supplies.